A repressive colonial-era law is given new scope. Malaysian Prime Minister Najib Razak has made two contrasting pledges with regard to the Sedition Act of 1948. First, during the election period in 2012, he vowed to repeal the archaic law. Then, two years later, he announced that the law would be strengthened to preserve domestic harmony. Last Friday, Najib’s allies in parliament upheld the latter when they passed a bill that made several amendments to the Sedition Act. Some government critics will no doubt be relieved that the amendments included the removal of provisions that make it seditious to criticize the government and the judiciary. Overall, though, the new law represents a greater threat to human rights and free speech. The maximum jail term for general sedition cases has been increased from three to seven years. A new provision allows for a penalty of up to 20 years for seditious activities that result in physical harm or destruction of property. The government argues that the new law is necessary to prevent malicious individuals from using the Internet to cause divisions in society. 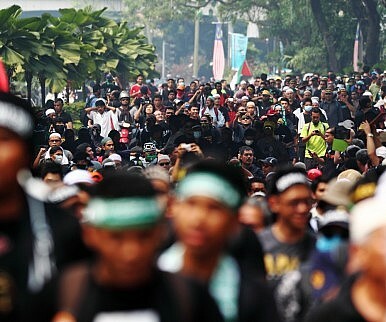 In particular, the law is said to be the government’s response to the demand of certain groups in Sabah and Sarawak to secede from the Malaysian Federation. But the government’s determination to maintain unity was affirmed at the expense of establishing a environment conducive to a free media. The Institute of Journalists Malaysia (IJM) warned in a statement that the ambiguity of the terms “likely” and “appears” could be open to abuse and misinterpretation. It also finds the prohibition order to be “an unfairly harsh punishment,” especially since it has no expiry date. Another amendment allows the court to issue an order to remove seditious content from publications issued by electronic means, such as online publications. Those who are found to be “propagating” seditious messages will be prohibited from accessing any electronic device. He was probably referring to the scores of critics, journalists, academics, activists, and opposition politicians who had been arrested in recent months for alleged sedition. After Easter Sunday Terrorist Attacks Kill Nearly 300, Sri Lanka Looks For AnswersWhy the US Needs to Revisit Its Negotiating Approach to North Korea—And SoonWhat Are China’s Plans for its Airborne Corps?Sihanoukville: A Cambodian City Losing Its ‘Cambodian-ness’Why is China Developing a New J-11 Variant?